This family run restaurant not only has a varied menu, but also their specialities - fish, barbecued meats and home cooking are the main dishes of this restaurant. Does quite a good Flamenco show at weekends for a very reasonable price. Anmari is a french tea room in front of the beach in Moraira. They have delicious creps,pancakes, croissant and a yummy milfeuille. A very nice place to go and the staff is always please to see you..
Found on the corner, facing the beach and bay, of one of the new apartment blocks in Moraira, where there is a palm tree-lined square in the middle. It looks touristy but it is frequented by locals, especially on Sunday afternoons when whole families eat out. This is the place for long leisurely lunches. A good salad then Arroz Abanda is highly recommended, otherwise good quality fresh fish. Get there for 1pm and take your time and don't hurry - the waiters (family run) don't mind! This super Indonesian Restaurant has just opened in Moriara. Quite often Chinese restaurants on the Costa Blanca offer what they pretend is Indonesian food in their menus - but it is never as tasty nor as well presented as the real thing. Try the Rijsttafel which comprised 16 different dishes. It is excellent and good value. The restaurant has air conditioned smoking and non smoking areas, as well as dining tables outside. Belgian restaurant serving international fine food at the Moravit Shopping Centre a small but friendly restaurant. Some know it as Meli-Melo. on the cliff next to the lighthouse Fantastic views and good food. 3 km along the Calpe road serves coffee, pastries and sandwiches and they also bake a range of classic bread, cake and pastry specialities from all around the world - fresh every day. Try them for bread, pastries and croissants, consider having breakfast here. Excellent high class Spanish food. Very pretty surroundings. Beautifully set, good quality Spanish restaurant in Benissa. Good menus from €25 including nice wine. Just pull up outside and the doorman will park your car! Tucked away from the high street in Moraira, opposite the church on the pedestrianised street, this family run restaurant offers excellent regional dishes, frequented by local Spanish, and is recommended in the Michelin guide. The large restaurant has tables nicely spaced out to afford privacy and they specialise in locally caught fresh fish, usually grilled. Good for wine lovers. Beautifully appointed restaurant with a very modern/trendy cuisine. You can dine outside in summer. is towards Teulada, just past the Barclaycentre is , where a range of international and local food can be enjoyed both inside outside on the large terraces. Very basic with several tables on an open platform inches away from the sea but what is especially nice is that it is right next to a sandy beach, of the same name, where you can relax after a nice leisurely long lunch - particularly good value three course set menu including wine. On the Moraira-Calpe coastal road after a mile you will see the restaurant next to a car park and promenade over the beach. CLUB NÁUTICO now called Bela Dama (see above). Spanish owners in a very good location. Brand new, ultra modern style ,only opened June 2007 with great atmosphere. Excellent food. Expect a bit of up-selling on the wine. They specialise in creative dishes made with the freshest meat, locally caught fish and seafood, and fresh ingredients bought daily. Relaxed and elegant setting with fine wines, and freshly home baked bread to accompany every meal. Superb location, sensational service, will ensure that your meal will be an experience. The food is fresh, home cooked and imaginative. The service is friendly and personal - the Dutch owners serve in the restaurant. Apart from dinner, it is open during the day as a café with outside seating. Lunch menu, Club sandwiches with good chips(not frozen) & great salads. Special fresh fish dishes, directly in the Port of Moraira. 1.5 km along Calpe road from Moraira is run by the Refugio Valles Family (Isabel and Juan) is the spacious - international and local dishes in a friendly, lively atmosphere with pizzas and pastas. Chinese restaurant which is on the coast road leaving Moraira towards Calpe, not too far from the village. is just a few minutes drive of the centre of town, and yet located in a very quiet and attractive residential area about 250 metres above sea level. 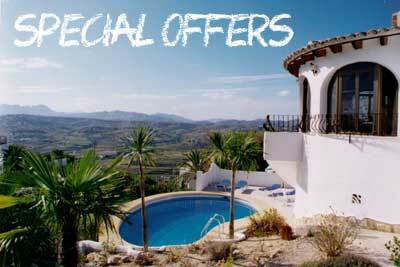 The roof terrace has stunning views across the valley and the vineyards towards Calpe and Benidorm. Nice modern looking venue, warm welcome. Good food and well priced. Take-aways available. This is a Dutch owned restaurant on the Moraira to Calpe road. The place has been decorated in stunning "minimalist" colours, with a fascinating changing light pattern to entertain you over dinner. A superb menu, very reasonable prices and excellent service. This one you have to try! Set in an old rustic farmhouse home of a very eccentric Argentinean (a former opera singer who is known for his impromptu recitals). They serve superb meats that are hung over a barbecue, an Argentinean speciality, and you can have a light tapas for starters all reasonably priced. The house wine, served in jugs, is recommended. They also have a lovely outside terrace, with a small number of tables, with fantastic valley views. An experience that is always enjoyable. Best to book either by popping in during the day or by telephoning. There is a sign for the restaurant on the Benitachell-Javea road, about 1 km from the traffic light junction, where you turn right. 1.5 km. along the Calpe road, is located on the cliff edge with steps down to the beach. It specialises in fresh fish and Galician meats. Belgian establishment excellent quality, good prices. Approx. 4 km down the coast from Moraira. Must book, except Monday. One of the longest established restaurants in the area, and regularly recommended in the Michelin guide, the quality of the food and service is always consistent and it is situated in central Moraira, by the seafront, and specialising in locally caught fresh fish. Family run, the owners speak English and provide an extremely efficient and friendly service that makes each visit enjoyable - but it is pricey compared to other restaurants in the region so set it aside as a night to dress up and enjoy a good meal. They do a speciality of whole Sea Bass baked in salt, Lubina con sal which is quite superb. They are open all day, serving excellent tapas in the separate bar area and outside tables. It looks up-market but don't be put off as they are far from snooty. Important - if the owners recommend something special that is not on the menu then check the prices as they tend to suggest dishes that are expensive! In Moraira Village,where Peter is still entertaining patrons after more than 20 years in the area. Not the Las Vegas in Moraira, this is in Teulada at the top of Moraira valley . Menu del dia €12-18 (incl wine) if you arrive before 2pm for lunch. 3 course menus starting from 12 euros to 18 euros includes half bottle wine. Excellent choice. Our favourite. Wonderful, Michelin recommended, restaurant serving excellent food by a young Belgian couple, with bags of experience, and with spectacular sea views from the restaurant and the laid-out terraces. A lot of money has been spent on the layout of the restaurant and it is worth just visiting for a drink at lunchtime on the outside terrace. There aren't many tables so booking is essential during the summer, especially for the outside tables, as it is known to be one of the best restaurants for outside dining in the area. Particularly good value are their set priced lunches (Fri-Sun) and dinners which includes wine, but you must request the lunch set menu. Closed Mondays, mid Nov-mid Dec & mid Feb - mid March. Take the road to El Portet beach and take the left walkway along the beach and the restaurant is above to the left. Offering a daily menu and evening menu, a nice place to relax, over looking the golf course. Use of a large swimming pool and tennis courts. The large terrace overlooking the sea and the Peñon de Ifach provides a magical setting for summer time flamenco, bbq, entertainment, concerts etc. Just out of Moraira on the Benitachell rd. Traditional Sunday lunches with all the trimmings. Self service. Seating inside & out on the terraces. Carvery every day and evening. Weekly entertainment. Very good restaurant, on the left on the Benitachell-Cumbre del Sol road, this old farmhouse surrounded by vineyards has been converted into an excellent, reasonably priced, restaurant in an attractive setting. Open all year but closed on Thursdays. is right next door to the Gemisant (see above) and specialising in a range of very interesting international dishe. The food is both good and ecnomical. The restaurant is beautifully presented and a relaxing evening can be enjoyed. Elisa, the chef regards pasta as a part of the Italian philisophy. Since its opening in 2002, the Pasta House strives to bring some of the "Pasta Philisophy" to all its customers..
Good food, friendly service, and a warm ambience. Open every day. Birthday parties, Events, Music concerts, BBQ Evenings. Excellent modern fish restaurant, on a side street, in the new development by Moraira beach. A very modern style of aqua themed coloured glass panels, the impression is of a stylish, expensive restaurant but the prices are very reasonable for dishes well-executed. Staff are very friendly and welcoming. Low price, great for Chicken, Steak & salads. Also have lovely soups. Dinner only. Pulcinella is more of a restaurant than a pizza house, though it is in fact both. So if you want a bit more than a pizza, or just want to settle for a pizza then this is the place to go. A lot of Spanish eat here late. Typical Spanish rice dishes; Paella, Fideua, and Arroz a Banda, near the Port in Moraira. Formerly known as Axe Brazil. Small friendly restaurant serving the best spare ribs in Moraira! Kebabs - Steaks - Swordfish - Salmon and more. Open 7 days a week from 6pm! Good choice of cuisine. Views of the main cobbled street from the restaurant's balcony. Very popular friendly English-owned (Jo & Dave Clark) informal restaurant and bar serving simply cooked food, including barbecue and outside tables in the summer. The main draw is the quality live music organised weekends. On the Moraira-Benitachell road at the entrance, signposted, to Pueblo Alcasar and Cumbre del Sol developements. New 2009. An excellent night out with Teipan show. Great fun for all the family. Offering an A La Carte Menu. close to Huang Zhou (see above) is where either beef or pork steaks come raw with a heated 'stone' to let you cook it yourself. Wine bar and cold tapas. Excellent selection of wines by the glass and hams etc. On the coastal road from Moraira to Calpe, past a big Pepe Ia Sal Supermarket. It is signposted just after this shopping area and calls for a very sharp right hand turn to find the restaurant. Great seafood, especially the prawns. Also pasta dishes. The upstairs restaurant is a lovely place - fabulous views, good value menu de dia(lunchtime only) and nice a la carte menu. Downstairs - more of a snack bar but same great setting. Cute bay with lots of little sailing boats and scuba diving going on. On the Calpe road heading out of Moraira, you will spot Timon sign on the left a couple of kilometres before reaching Calpe. 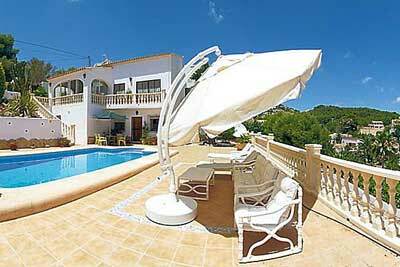 Situated in the yachtclub in the very heart of Moraira with lovely views over the Marina. Come and feel the relaxed ambiance with a exclusive cocktail, chillout music & faboulous tapas in our sushibar.